See the Events page for up and coming local events. See the Children page for ideas especially suited to younger children. The Three Peaks of Ingleborough, Whernside & Pen-y-Ghent – the really serious walker may want to try and walk all 3 peaks in one day. The Three Peaks Walk is 25 miles and can take anything from 8 to 14 hours to complete! (Ingleborough, or at least the start of it, is a 10 minute walk from the cottage.) There are many other less famous but also very beautiful walks locally, for example Crummack Dale and Norber Erratics. Feizor is also a favourite (partly due to the lovely cafe there and partly due to the stunning array of May bluebells.) See here for details of many other local Yorkshire Dales walks. Here is another good site that focusses on nature walks close to Ingleborough with very informative downloadable walk descriptions. To get aquainted with the village, try this short walk around Ingleton. Another good website for good Yorkshire Dales walks is this one. For people who prefer less strenuous walks or strolls, there are many pretty places, apart from Ingleton itself, Austwick and Clapham are beautiful Dales villages with a variety of easier paths and bridleways. The walk from Devil’s Bridge, along the river & up past Ruskin’s View, through Kirkby Lonsdale is deservedly popular. Here is a lovely walk closer to Lancaster. One of our favourite walks (plus a gorgeous drive to it on a sunny day) is Stocks Reservoir in the Forest of Bowland which featured in Britain’s favourite 100 walks. Ingleton also has a renowned climbing wall and seasonal open air swimming pool. The Settle to Carlisle railway – England’s most scenic railway leading to the wonderful shopping city of Carlisle. Ingleton is located only 5 miles from the awesome Ribblead Viaduct. The historic market town of Kirkby Lonsdale, set in a superb location of enchanting natural beauty, famous for Devil’s Bridge, and Ruskin’s View. Market day is Thursday. The market town of Hawes is brimming with cobbled streets full of quaint shops. The 17 mile journey from Ingleton is breathtaking. Market day is Tuesday. Hawes has its own creamery which offers tours (fascinating viewing gallery of the cheese making – but phone 1st to check it is a cheese-making day – mainly 10am till 2pm), generous tastings of its famous cheeses and heavenly ice-creams. The Countryside Museum provides a very interesting history of the Dales (back to the time when rhinoceroses roamed the Dales!) Hardraw Force, a stunning walkfall located about a 15 min walk from the 14th Century Green Dragon pub, is only 2 miles away, both are highly recommended. Close to Hawes is the Red Squirrel Trail which takes you on a well sign-posted walk to an area of woodland that has been set up as a red squirrel sanctuary where the special feeding area means they are easily seen. The Hoffman Kiln near Settle, is a little known gem – a surprisingly spectacular day out – best seen in sunshine but torch required for the darker chambers. There are many local opportunities for geocaching (a type of treasure hunt) – brilliant for encouraging children to walk further in the countryside. If you would like to go on a led activity whilst in the Dales, for example, an Introduction to Caving Day, contact the Yorkshire Dales Guides. For wildlife (especially birds), Leighton Moss nature reserve (as featured on the BBC Autumn Watch programme) is a must. The cafe is also recommended. You can get the train from Settle to the World Heritage site of Saltaire village. There is enough in the cultural paradise of Salts Mill alone to fill a rainy day. (The train station is directly opposite it.). The local small city of Lancaster has an array of interesting things to do. Amongst the many lovely things to do in the Lake District, Holker Hall is highly recommended for garden lovers, it also has a large transport museum. Helwith Bridge Fly Fishery is a short drive from Ingleton in the direction of Settle. The 4.5 acre lake is in a very beaufiul setting with views of Penyghent and the surrounding fells. Half day and full day fly fishing tickets can be purchased. Casting tuition is also available. 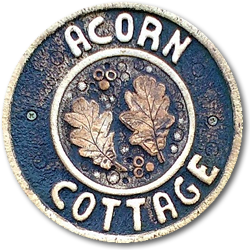 * Acorn Cottage is very well placed for accessible Winter breaks. It is in a small cul-de-sac directly off the main Ingleton village road which is always cleared of snow promptly . The main Ingleton road itself is directly off the A65 trunk road (about 1/2 mile from the cottage), this is always kept clear.